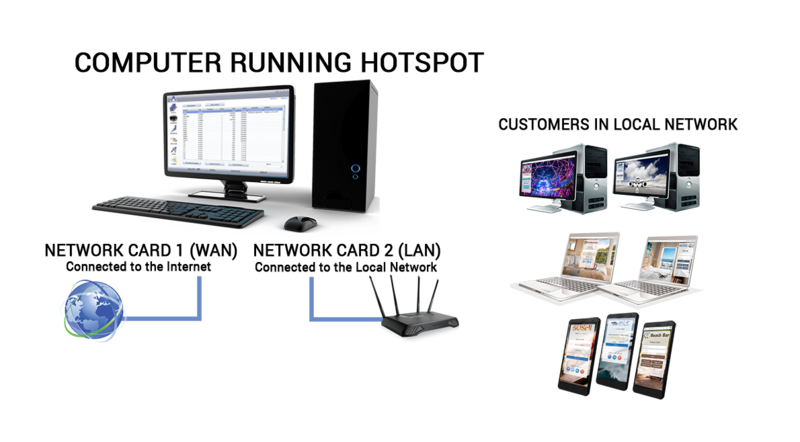 Antamedia HotSpot is a professional Windows-based WiFi Hotspot management software which helps you control your Guest Wi-Fi. It’s the most feature-rich software in the industry and comes with a lifetime license and free support. HotSpot software lets you manage your WiFi and redirect guests to login in different ways: with an account, social network, authenticate through PMS room/name, get free or pay for Internet access. Easily collect data, make surveys and automatically send promo emails to engage users and sell more. You need a Windows PC with two PCI network cards. Your PC will be a gateway for your network that connects all customer devices. Software supports all access points so you can use it with existing network. When guest connects to Wi-Fi, your self-branded login page will appear asking guest to sign-in or pay before getting the Internet access, or to automatically login with remaining quota and time. 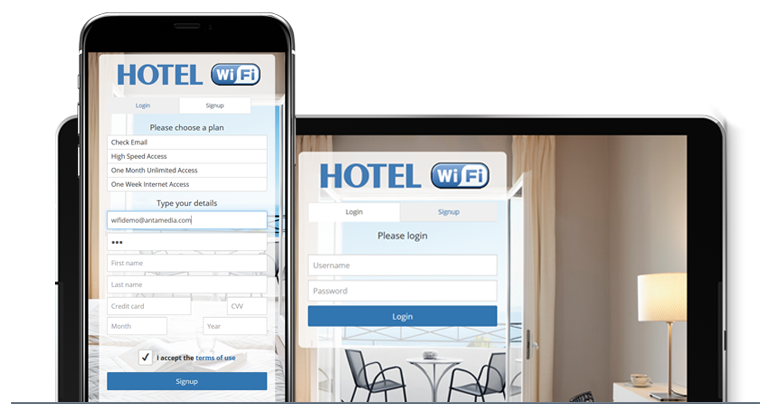 In-use by major hotel chains for more than a decade, our Hotspot WiFi solution is the only high-performace Windows based solution available. We are the only company that can offer both Cloud WiFi and On-Premise Server based Hotspot solution worldwide. Hotspot mobile advertising helps you engage your customers with image and video ads. 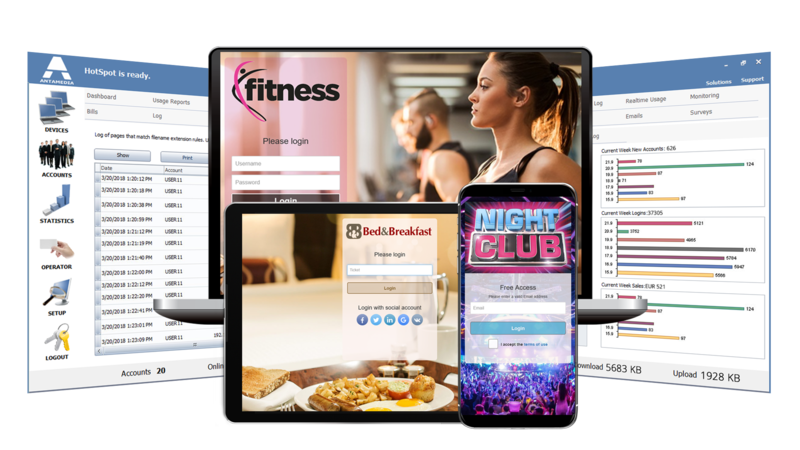 Offer complimentary Wi-Fi access, display promotion on customer smartphone or tablet and increase your sales. Offer promo coupons that will target and match customer interest, age, gender or activity. Configure customer surveys to get valuable insight into customer opinion or wishes, so you can react proactively and further satisfy them. Collect customer data and grow your user base. Automatically send promo emails to enage users, remind them to come back and offer new discounts.